‘Mayibuye ! : The Umsebenzi Cartoons of Eddie Roux’, 17 September 2018. View the YouTube link to see more. 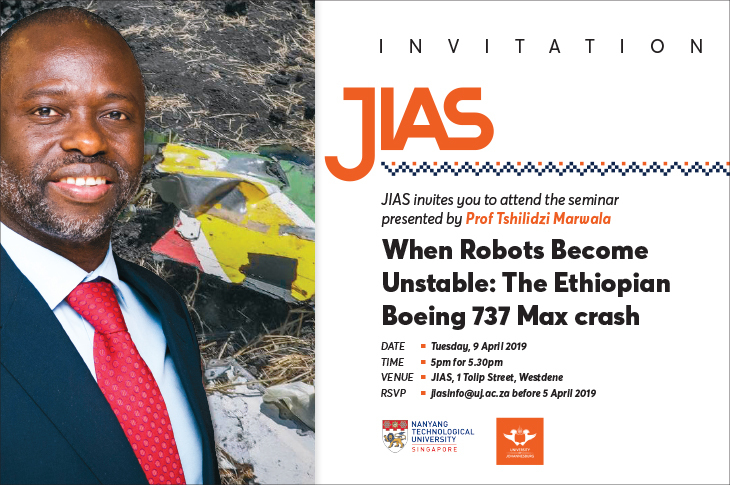 UJ Vice Chancellor Tshilidzi Marwala seminar on ‘When Robots Become Unstable: The Ethiopian Boeing 737 Max crash’. Please note that RSVP’s for this event are closed.